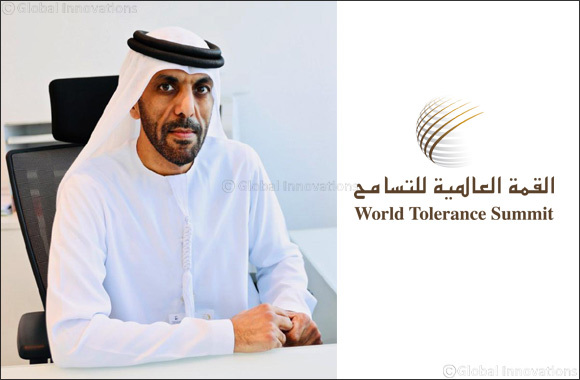 12 November 2018, Dubai, UAE: The International Institute for Tolerance is set to hold the first-ever World Tolerance Summit on November 15-16, 2018 in Dubai. WTS will be held in conjunction with UNESCO’s International Day for Tolerance. WTS is UAE’s effort to attract global leaders and promote peace and tolerance in diversity across the world. As a melting pot for over 200 nationalities, UAE seeks to lead the region in the promotion of peaceful coexistence and a tolerant society. This is also in line with the government’s vision when it announced the creation of ministerial posts for Happiness, Tolerance, and The Future. Preparation for the summit is currently being finalized including protocols in welcoming honoured guests and delegates who would grace the event. Hundreds are expected to arrive in Dubai and participate in the conference and in a series of workshops on the values of UAE’s founding father, His Highness the late Sheikh Zayed bin Sultan Al Nahyan. WTS organizing committee has been overwhelmed with the wide support WTS has been gaining since its announcement in July. Expatriates based in Dubai have showed their support for WTS by sharing their positive thoughts on living and working harmoniously in Dubai, as shown in a series of videos posted online. Comments and words of encouragement have since been flooding WTS official social media accounts. Al Shezawi further stated that the organizing committee is all set to stage this remarkable event that anticipates international government leaders, thought advocates, diplomatic community, business community, educational institutions, media, women, and the youth. Aside from the summit, networking activities will be included in the two-day event. There will also be a Tolerance Library showcasing publications and manuscripts on peace and tolerance, and an Art Gallery focusing on art creations depicting the objectives of WTS. A day before the event, special recognition will be given to individuals for their work and contribution in the interest of promoting tolerance and peaceful coexistence. The Tolerance Awards will be held during the Gala Dinner.